Get 20% OFF Timber Mouldings from JAS Timber! Timber Mouldings & Beadings are available to buy online from JAS Timber! 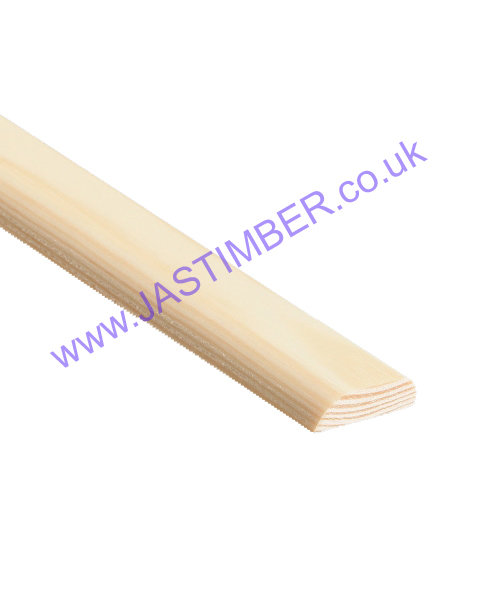 JAS Timber offers a large range of softwood mouldings and beadings in various sizes. Below are just a few of the timber mouldings and beadings available to purchase online from JAS Timber today! D-Mouldings are available in both 1.5" and 2" mouldings. They are perfect for adding a smooth edge to shelves, worktops and claddings, and so is a must have purchase for any renovation project, ideal for use around the internal of your home. This moulding is priced competitively for just £­2.­00 excl. VAT for both sizes. Corner Beads range in size from 18mm to 40mm. They can be used for many applications around the house, and provide a tidy and professional finish to a wide range of projects, and are ideal for use on internal corners to hide gaps, rough edges and screw holes. Prices start from £2.72 excl. VAT. The 34x12mm Crown Moulding is ideal for covering gaps between internal corners, as a "cornice" or "upstand". It can easily be cut to size and provides a neat and professional finish. Prices from £2.72 excl. VAT. These are just a few of the wide variety of timber mouldings available to purchase today from JAS Timber. Please enjoy browsing the full range. We also have a number of Timber Mouldings and Beading on Special Offer with 20% Discount!